Quick note: I link to a lot of stuff in this article but this is not a sponsored post, these are the products we’ve had success with and I’m including links to help you and your fur babies get geared up for your adventures! How do you make the best things in life better? Dogs. The answer is always dogs. Doggie Backpacks: The rule in our pack is that you carry your own stuff. Charlie, being the younger of our fur babies, carries the heavy food. Theanie has a bum elbow, so she gets the lighter pack, filled with a doggie med pack, their collapsible food and water bowls and her medication. The key to doggie backpacks is to distribute the weight evenly on both sides, and make sure everything is watertight! River crossings that are knee-deep for humans are closer to chest-deep for doggos, and throwing out supplies due to water damage is a waste of money. LED collars: I bought LED collars on a whim right before we went backpacking last summer and immediately fell in love with them. Backpacking with dogs is amazing, but it can also be stressful, especially once it gets dark. Our pups are good listeners and generally stay around our campsite, and being able to look up and immediately see where they are is a huge comfort. Plus, we don’t disturb other groups by constantly yelling at our dogs to stay close; #wildernessbrowniepoints. Pro Tip: Make sure to get adventure proof, water proof LED’s for backpacking! The ones pictured above got wet and didn’t last more than 2 nights. I’m ordering new collars from Halo Lights, I’ll have a review of those once we’ve had a chance to test them out! Puppy med packs: First Aid is basically universal but there are med packs created specifically for dogs; if you’re into outdoor adventures with your furry friend, I would highly recommend picking one up. Not only is it nice to know that you can treat minor injuries (scrapes, bug bites, etc.) but many dog medical packs come with basic canine CPR and Heimlich instructions. Hopefully you’ll never need them, but it’s always good to be prepared for any type of emergency. Paw Protection: We love all types of hikes but some trails are nicer on puppy feet than others, so it’s important to keep their paws tough and protected no matter the terrain. If you were able to train your dog from a young age and they are comfortable wearing shoes, congratulations and good on you! Charlie and Theanie don’t like booties so we use a spray on paw protector. The catch with this is that you have to build up the shield over time; if you’re looking for a last-minute solution it might work but it could irritate their paws if sprayed on thin or cracked skin. Water: I keep linking back to our Echo Rock trip but that trail taught me a LOT about being prepared, assessing trail conditions and the keeping tabs on the overall wellness of your hiking group (pack dogs included!). On that trip we were running low on water from the get-go, and as the reservoir water was unsuitable for drinking, Charlie and Theanie were hot and dehydrated the whole time. We ended up carrying Theanie for the last 1.5 miles of the trip because she was so exhausted. Looking back, she was probably suffering from heat exhaustion and I’m sure dehydration didn’t help that situation. Please, please, please pay attention to the health of your animals and always be prepared to pack in more water. We now carry 2 extra litres of water per dog, especially in arid regions. Not all trails are created equally! Trail conditions, livestock herding and conservation efforts all play a part in determining if a trail should be classified as on or off leash. Some trails change throughout the year (for example, the Alice Toxaway Lakes Loop is on leash from July 1st – Labor Day due to heavy horse traffic in the late summer), while others are set year round as one or the other. 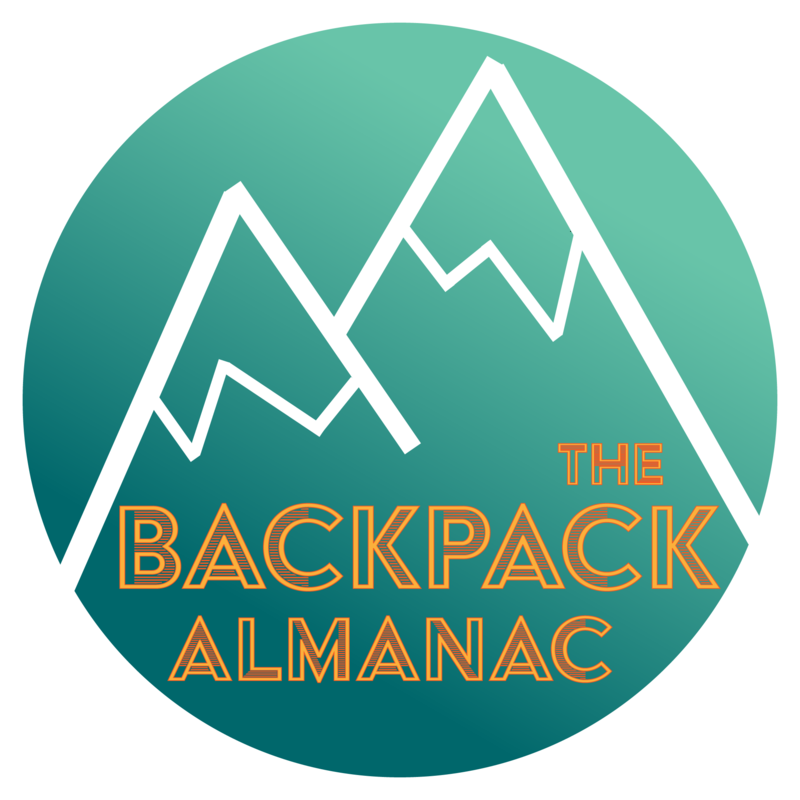 There are a multitude of trail guides, blogs, and websites dedicated to backpacking; most are easily searchable and have solid reviews and what to expect from the trail. My go-to site for trail information is the National Park Service, as they update weather and trail conditions regularly. Another good site is AllTrails.com, which has great trail information and reviews from other hikers. Bring a Leash: Even if your dog is so well-trained they never leave your side, it’s always a good idea to bring a leash. It’s hard when your pup wants to explore, but it’s nice to have in case they get a little too excited about the wonders of the great outdoors. This is important for young dogs who are still learning about listening, for campsites you might be sharing with other backpackers, and in case you want to just chill in your hammock without worrying about the pups and what they might be getting into. Bring a Shovel: I mentioned waste disposal in a previous post, but I’m going to mention it again because it’s an important part of being a responsible backpacker. Our dogs have an awesome habit of doing their business about 5 minutes into the start of a trail so we’ve gotten really good about keeping our camp shovel accessible. Theanie tends to wander off of the trail to take care of it in private, which usually ends in me tramping through brush trying to find the poo. Definitely not the most glamorous part of backpacking, but it’s necessary for keeping the wilderness a (somewhat) clean and enjoyable for everyone. Something I’ve learned about having dogs on the trail is that they can be really, really gross. The wilderness holds many treasures, and for dogs these come in a multitude of forms; fresh manure, animal carcasses, waste from other backpackers… The list is exhaustive and disgusting so I’ll stop there and just leave you with a simple warning: KEEP TRACK OF YOUR PETS. Pay attention to the area around your campsite, if they are digging, or eating or rolling around, the chances are they found something that smells amazing to them and nasty to you… Stopping the gross behavior before it starts can save you from having to share your tent with a stinky puppy. Wow this turned into a really long post and I didn’t even get to review the items I talked about! I’ll have a more indepth review of specific products in a later post. Until next week, keep exploring friends! These are great tips! My dog loves backpacking, but I haven’t made him carry his own gear yet. We’re hoping to try that this year as soon as he gets used to wearing his empty backpack around for a bit. That’s what we did with Theanie and it worked perfectly, now when they see their backpacks they go crazy because they know that means it’s time for an adventure!